Spring has finally arrived, and spring cleaning is on the agenda! 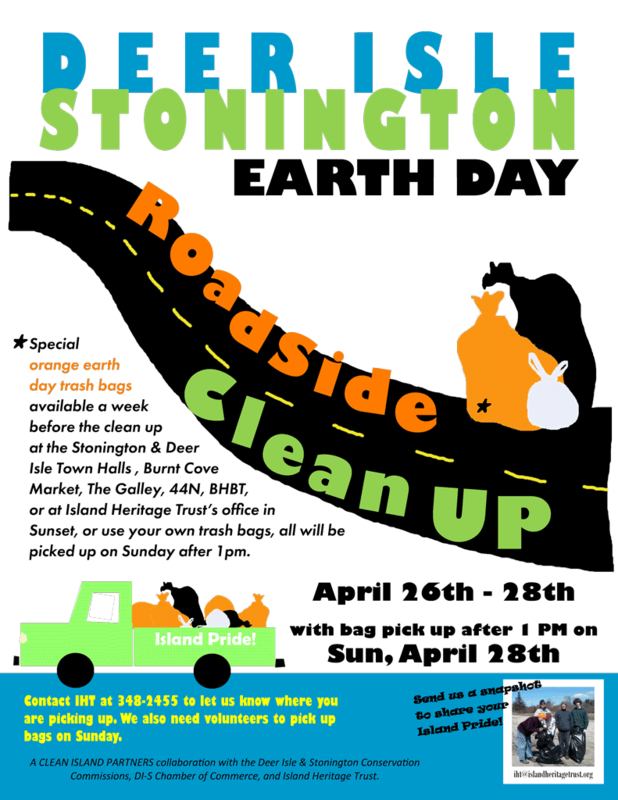 Put on your brightest colors, grab some bags, and join us in this annual, roadside clean-up in honor of earth day and caring for our island and waters. Special orange trash bags available at the local town halls, Burnt Cove Market, 44 North Coffee, The Galley, Bar Harbor Bank & Trust and Island Heritage Trust’s office in Sunset. You may also use your own trash bags. 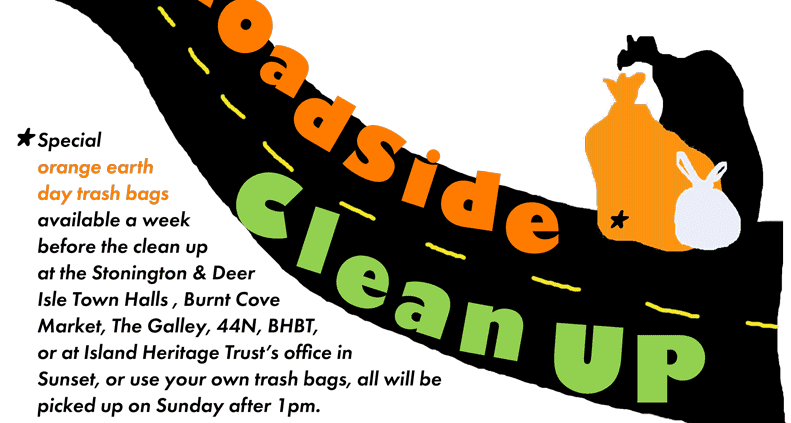 All bags left along the roadside will be picked up starting Sunday after 1 pm. Contact Island Heritage Trust at 348-2455 to let us know where you are picking up. We also need volunteers to pick up bags on Sunday. If you find large items you cannot handle, please contact your town officials for assistance. THANK YOU TO ALL DEDICATED TO KEEPING OUR LOCAL LAND AND WATERS HEALTHY AND FREE OF TRASH! 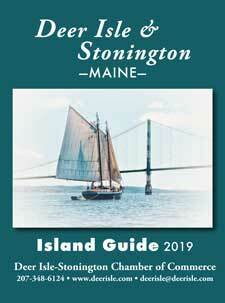 A CLEAN ISLAND PARTNERS collaboration with the Deer Isle & Stonington Conservation Commissions, DI-S Chamber of Commerce, and Island Heritage Trust.